So you’ve picked up your tubular wheels and tires and are eying that first race. Perhaps our how-to for multi-step process of gluing cyclocross tires is overwhelming? You can kick back with a Belgian brew and enjoy the drawn-out process, or you can simplify the steps and speed things up a bit by going with a totally different Belgian concoction. 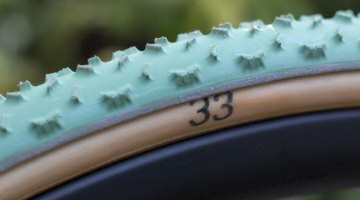 Stu Thorne, managing director of online retailer Cyclocross World, has to install a lot of tubular tires for the many sets of wheels his cyclocross team uses. 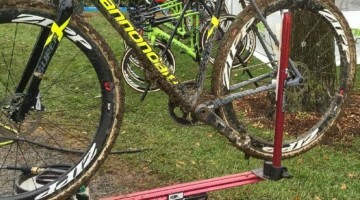 To get his team rolling, he relies on the “Belgian Method” of mounting cyclocross tubulars. Unlike Tufo’s tape, which is a stand-alone product, the tape Cyclocross World imports from Belgium is designed for use in conjunction with glue-Thorne notes he uses Vittoria’s Mastik One exclusively. The “Belgian Tubular Tape” as Stu calls it-no fancy names here!-is a very thin, double-sided tape with cloth woven in for added strength. Step 1. After stretching the tubular tire, apply one coat of Vittoria’s Matstik One glue to the rim and tire; let set for 24 hours. Thorne notes that thin coats of glue are key to good setup. Step 2. Apply a second thin layer of glue to the rim and tire. Thorne then adds tubular tape to the rim, pressing it against the rim to smooth the tape out. Step 3. Peel the backing off the tape, revealing the second adhesive side, and apply a thin layer of glue to this side of the tape and a third layer to the tire before mounting the tire to the rim. Step 4. Inflate the tubular to 80 psi in order to make sure the tire is properly seated on the rim. Thorne then lowers the pressure to around 50 or 60 psi to let the glue cure. To help take the tire off I have always used an old flat head screw driver to peal up a small section of the old tire and then work my way across to the other side. I then stick the screw driver under and through the other side of tire. I then use the screw driver to help pry off the tire from the rim. Just be careful not to score or damage carbon rims. Pre-stretching a tire is a HUGE help. I use 3M Fast tack adhesive for gluing my tires (don't mix glue types if you can avoid them, they are different glue chemistry and can react unfavorably at times). Not all the old glue must come off (the large parts must, but the rim doesn't have to be perfect. The old glue (of the same type) can help bond the rim to the new tubular. If you were to Aquaseal a tubular, would you do it before gluing or once glued to the rim? i'd do it after gluing, just to avoid it getting all over the base tape. good luck! stanjboyd Stewied11 tape and glue …… this is scaring me a touch ! I don’t have time or patience for all that !!!!! 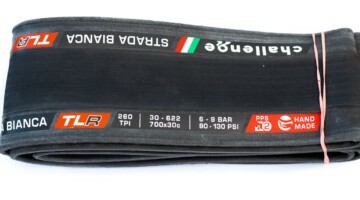 After gluing the base tape, stretch the tire again on a clean rim. It will help in the final mounting process, as the base tape and glue have a habit of “shrinking” making the tubular even harder to mount. The main problem I’ve had with this method is that repositioning the tubular after mounting is next to impossible, so you have to nail it the first time, every time. For the non-professional, that’s almost impossible! One of my favorite tricks is to use the backing tape of the belgian tape as a “staging” tape to separate the tubular and the glue, allowing centering and adjustment of the tubular without having to fight the glue (that stuff is tenacious as soon as it touches itself). You then peel out the backing paper from between the rim and the tubular, giving you a perfectly centered tire. It’s just a little bit more time consuming, but it’s worth it to me to have a centered tubular. 1. 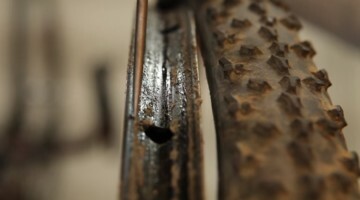 Layer of glue on rim and base tape. Restretch the tire on a clean rim. Wait a day. 2. Second layer of glue on rim. Wait 5 minutes, then apply your layer of belgian tape. Keep the backing paper on! But peel up a 1-2″ section of the backing paper from either side of the valve hole and fold them over to opposite sides, giving you “leaders” to start peeling once you mount the tire. 3. Center the tire in a truing stand and make any necessary adjustments. You may add some air to the tire to help gauge the straightness and trueness. 2 bar is fine. 4. Deflate the tire, then starting with one of the leaders, begin to peel the backing tape, slowly and carefully, out from between the tire and the rim. It helps to go nice and slow, and pull at an acute angle towards you, holding the tape about 45º or so away from the rim. DON’T RUSH IT! Be very careful not to tear the paper, as it is pretty fragile. If you happen to tear your paper, you have a second chance with the other end. If the tape tears and is stuck under the tire, pull up the tire immediately and dig out the leader with a tire lever or screwdriver, and resume peeling. If the glue is already too dry to pull the leader out, go at it with a hair dryer to soften the glue a bit. 5. Once you’ve peeled out all the separating tape, just roll the deflated tire on the ground, getting the tubular pressed onto the rim, then inflate the tire to 60-80 psi to seat it, then leave it alone for 24 hours. Congrats! A clean, perfectly centered CX tubular. @Eloy Anzola The purpose of aquaseal is to seal the bond between the tubular and the rim from water penetration. So yes, you want to do it after mounting the tire. Tape over the brake track, but leave the very edge of the rim untaped. This “lip” is what forms the seal. 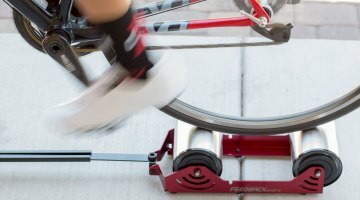 Unless you are racing in very wet conditions with cotton tires, it is not necessary.